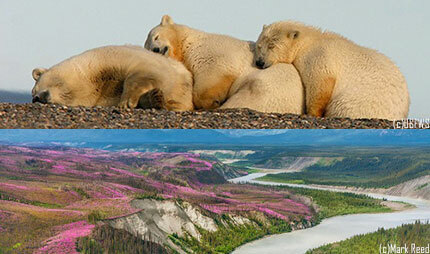 Please co-sponsor the Arctic Cultural and Coastal Plain Protection Act. It protects key habitat for the Porcupine caribou herd critical to the Gwich’in people as well as prized denning grounds for America’s polar bears. The majority of the American public does not want to sacrifice the wildest place in America for short-sighted, destructive fossil fuel production. The Arctic Cultural and Coastal Plain Protection Act would restore essential protections for the coastal plain of the Arctic National Wildlife Refuge stripped in the tax bill of 2017. It protects key habitat for the Porcupine caribou herd critical to the Gwich’in people as well as prized denning grounds for America’s polar bears. The majority of the American public does not want, has not asked for, and will not accept sacrificing the wildest place in America for short-sighted, destructive fossil fuel production.